Home / Chlorine Removal Tips / What’s the best conditioner for swimmers’ hair? 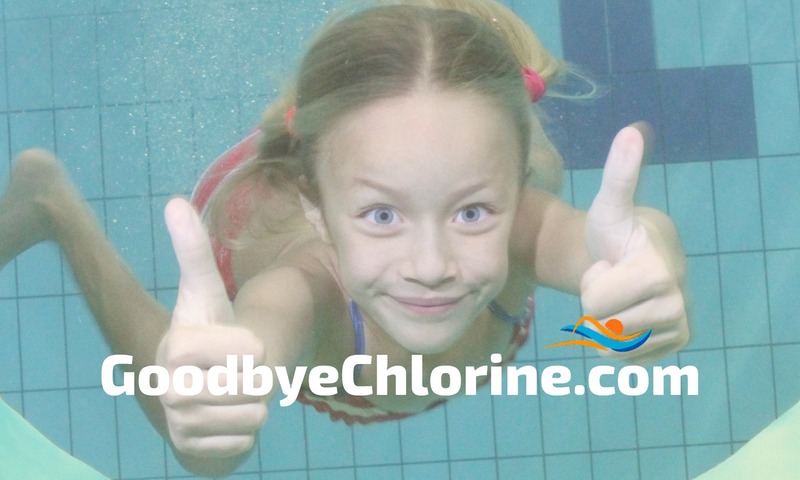 Goodbye Chlorine manufactures conditioner and other products for swimmers’ hair and skin. Click here to see our entire product line, or our buyer’s guide. Has your hair become brittle, crunchy and dry from swimming? This damage caused by chlorine is known as “swimmer’s hair” or “chlorine hair”. Let’s investigate the best conditioner for swimmer’s hair. Exposure to chlorine damages hair. It’s a condition that’s commonly called: “Swimmer’s hair”. In extreme cases, swimmer’s hair will even have a green tint. When you hair is healthy it is shiny, smooth and slightly acidic. Your hair feels smooth because the outermost layer of your hair shaft (the cuticle) lies flat. The cuticle interlock around the hair shaft and seal in moisture. But after swimming, your hair cuticle rise and feel rough. Once your hair cuticle rise, the chlorine can remove the oils around your hair shaft. To make matters worse, the chlorine forms a tight bond to your hair and is very difficult to remove. To solve the problem, avoid harsh chemicals. Instead, find products that are gentle and made for swimmers. Rinse-out Conditioners – “standard” conditioner. Applied in the shower and rinsed out after 3 minutes. This type of conditioner you can use daily. Leave-in Conditioners – Leave-in conditioners are great detanglers. They are useful for people with hard-to-comb hair. They also protect your hair against heat and styling products. Deep Conditioners – Deep conditioners restore moisture to severely dry and damaged hair. They contain lots of oils and moisturizers. Apply for 15-30 minutes and then rinse out. Reduce and Remove Chlorine – Conditioner made for swimmers should reduce and gently remove chlorine. To repair swimmer’s hair you must first gently remove the chlorine. Rebalance pH – Use a conditioner that is pH balanced. It will help return your hair to its natural pH level. Restore Natural Moisture – Of course it should contain lots of conditioning and moisturizing ingredients. Assist Combout – Because swimmer’s hair has become brittle, selecting a conditioner with plenty of “slip” that assists comb-out is a good idea. Protect – A good conditioner for swimmer’s hair will continue to protect after you leave the pool. If your hair is extremely damaged, consider using a spray chlorine neutralizer like Goodbye Green before using a swimmer’s shampoo and conditioner. Spring into a new hair color. How swimmers protect their hair from chlorine. Swimmers’ Shampoo: Win the battle against chlorine. Anti-Chlorine Soap, or Anti-Chlorine Spray? Swimmers’ Shampoo: Will it fix swimmers’ hair?